A stranded yachtsman whose anchor had been deployed 'unbeknown to him' called for assistance from the RNLI yesterday morning. 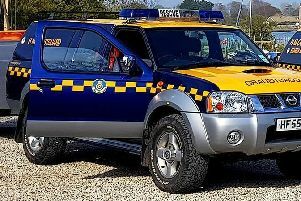 UK Coastguard received a radio call from the sole occupant of the 45ft yacht Giverny2 who reported that he had lost propulsion and steering, according to the Selsey Lifeboat Station Facebook page. It added: "The all-weather lifeboat (ALB) launched at 10.28am and made best speed to the position given by the lone yachtsman, [who] had left the Hamble River at 3.30am bound for Brighton marina. "The lifeboat arrived on scene at 10.51am and after checking the welfare of the skipper prepared to pass a line to him." As the skipper made his way to the bow to accept the line, he realised the yacht's anchor had deployed 'unbeknown to him' and at first it was thought this had 'fouled the rudder and propeller', according to Selsey Lifeboat Station. "The anchor line was buoyed off and cut away before the skipper tried the engine and steering," it added. "Both of these worked as normal so the Giverny2 was able to continue the passage to Brighton. "The lifeboat escorted the vessel for a short time before returning to station arriving back at 12.01pm and rehousing straight away."